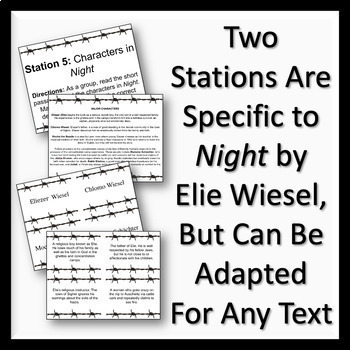 Included are six station activities which can be used in a English Language Arts or history classroom. 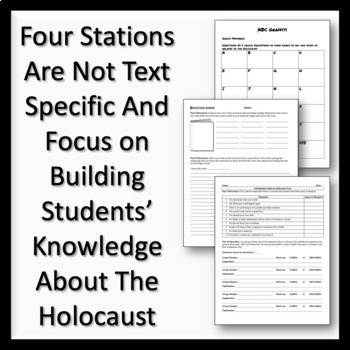 Four stations are focused on introducing the Holocaust and the related text you will be reading. The final two stations are focused on specifically introducing the characters in and author of Night. Blank station directions and manipulatives are included so that you can create your own stations if desired. 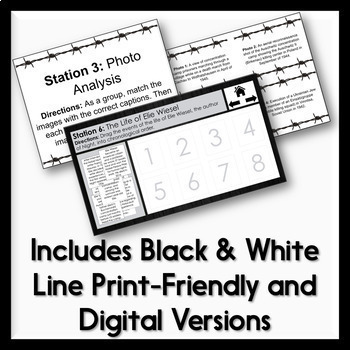 The stations include activities such as analyzing photographs, free writing based on a cover image, and placing the events of Elie Wiesel's life in chronological order. Save 20% and get all my Night resources in my bundle of resources for "Night." But Wait! 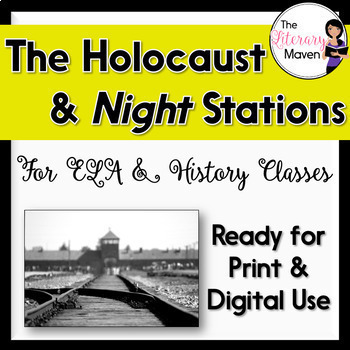 You can save over 40% when you purchase all of my Holocaust & Night materials in this bundle of resources for the Holocaust & "Night."